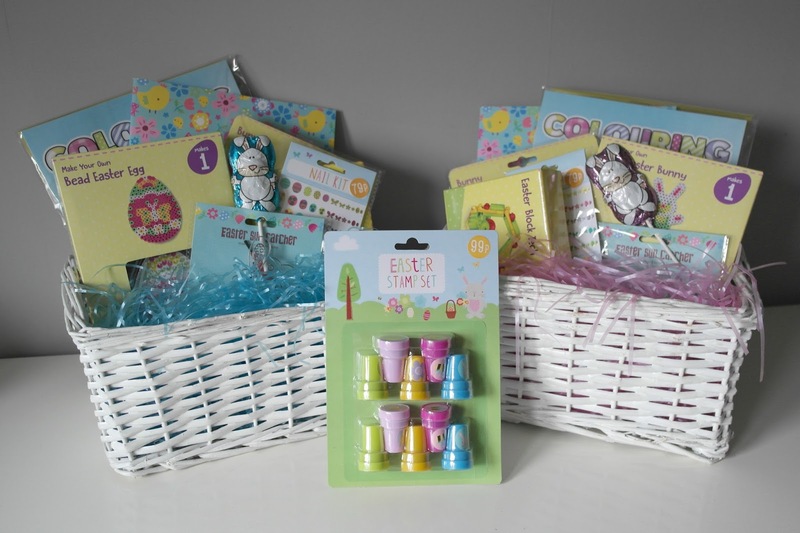 For the past few years instead of buying the girls easter eggs (because they end up with loads from family members) I've put together a little basket with a range of different things to do to keep them busy over the Easter holidays. 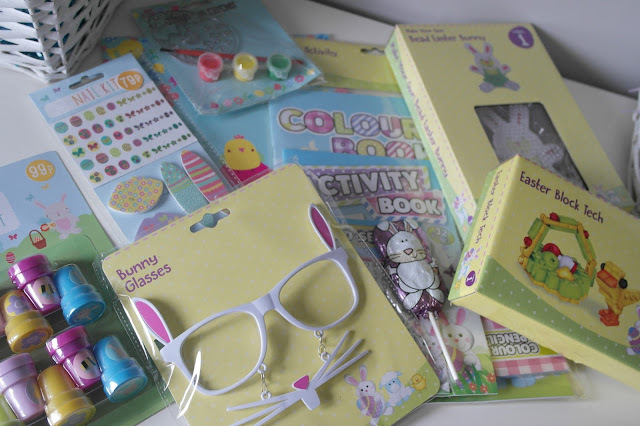 This year I wasn't so sure I was going to do one but get them a giant kinder surprise easter egg instead but as the easter stuff started showing up in stores everywhere my hands were starting to get twitchy, Then when Daisie very sweetly asked about the easter bunny bringing baskets this year I just had to. So I got hunting for anything and everything that could keep them busy as well as being Easter themed, I dug out the previous years christmas eve box now they've had an upgrade, I spent a good week hunting for one convinced I lost it until Daisie wanted to paint nails and I got my nail varnish basket down to realise that it was the one I've been hunting for Doh! Do you put together an Easter basket for your little ones?